There are 1157 of them. In one area. Today, as I write. Identified, registered with the authorities. This time we live in. Now. Was it better under the Matriarchy? This shameless book. Open. Plotting forward to finding … healing. For some. 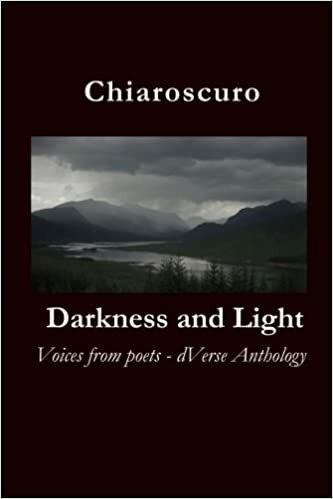 Persophone emerges from the place called The Black Pool of No-Light, blue veins throbbing at her throat, her temples, gasping, almost sobbing with the effort. Places the Book of All of Them on the nearby stone. Linked to Friday Fictioneers in response to a post by Danielle Owenby, who is working on a project in aid of sufferers of child sexual abuse. If people are unable to assist, kindly spread the word through facebook or other social media. Thank you. Any and all interest is appreciated. It’s not a popular topic. Danielle Owensby’s work is of a high quality and bears the stamp of integrity. Thank you. Well done to Danielle Owensby too for working with an intensely traumatic topic. Yes, this kind of thing is. Terribly. Took a peek at Danielle’s ‘Blackpool’. Rather concerned self-harm afflicted many people.It may be serious psychological problems prompting it but still a noble project. The book can certainly enhance awareness! Thanks for bringing it out in the open Petruj! The idea, indeed, is to raise awareness and provide support where one can. Danielle has inspired me to work on similar themes: the silence around the topic is deafening. Ah.. Really love connections to myths, and Persephone represents one of the stronger characters.. Nice to see you here. The link ups do add to the story. “The Black Pool of No-Light” is such an intriguing and inspired name for that project. Thanks for going to the trouble to read the back story. I appreciate your comment. Like neilmacdon said- quite intense. going to have to do further reading to fully grasp the magnitude of the piece. Good job putting a part of it in a 100 words. Persephone is wonderful link to the survival of abuse. A strange and haunting piece. Thank you. Danielle Owenby’s work (see the links) inspired this. She does astonishing work to raise awareness and bring healing. Thanks for reading and commenting. I’m not sure what links neil is talking about. I wasn’t ready for it to end, though! This was sure tantalizing. I’d like to hear more. Thanks Nan. The links are underlined in my posts while in others’ it may be highlighted in a colour, usually blue. Not very clear to see on the grey background. That was a powerful, if slightly confusing, story, Petruviljoen. Does the ending mean that Persephone is placing the book of all the names of those who suffered abuse, or those who committed the abuse? And does she place it where they can be seen and noted? Why Persephone? Is it because she’s the wife of Hades? I have SO many questions. This is an extremely compelling story! Persephone because of time spent in hell, yes. Breaking free, bringing the book she was making with all the names of the survivors of abuse, and their stories. She places it so it can be seen and read by whosoever may be interested. Did you follow the links to Danielle’s site? That’s what inspired this. I did follow the links, thank you! Nice to see you online here! Haven’t seen you in my Reader of late. There’s something wrong then. I’ve been posting, mostly on Dverse Poets fairly regularly. I’ll admit I didn’t understand it much, but it does have its charm. And very readable.